Thank you to Capitol CMG Label Group and FlyBy Promotions for the courtesy of providing This Is Not A Test for the purpose of facilitating this review. Music has always been a motivational factor in my life. The combination of a rhythmic beat carrying passionate lyrics is a winning combination. I thrive in the tunes of an upbeat song and TobyMac delivers his newly released, This Is Not A Test primed with a steady-flowing beat that grooves and a message that moves. Even more appealing is that we now have a new family-favorite to add to our rotation. Our family consists of a teen, a tween and a tot, not often is our music universally favored. We listen to This Is Not A Test exactly as we downloaded it, we have yet to decide on a collective or individual favorites. If I had to choose, I would say that we have the most fun, rocking out to Like A Match, maybe because it was the very first song on the track list and we were reeled in from the first song. Music artist TobyMac, emphasizes the fact that making every moment count is about more then just saying to family and friends that you are there for them, action is required. The proof is in his track record at home with his wife and five children, mentoring new artists, recording in the studio or on the road with his band Diverse City, TobyMac’s heart for collaboration is rooted in his belief that no matter where we’ve come from, we are better together then we are alone. Toby McKeehan (known professionally as TobyMac) is a husband, father, performer, songwriter, producer, and businessman. Growing up in the northern Virginia suburbs adjacent to Washington D.C. helped instill his love for rap music. While attending Liberty University during the mid 80s, Toby met Michael Tait and Kevin Max Smith and these three friends formed the Grammy winning, platinum selling group dc Talk. Toby began his solo career in 1999 with his first solo album, Momentum, releasing in 2001. Momentum has been followed by four additional studio albums, Welcome to Diverse City (2004), Portable Sounds (2007),Tonight (2010), and Eye On It (2012), along with his first live album, Alive and Transported (2008). This Is Not A Test is his 6th studio album to be released. Starting with dc Talk, and then going solo when the group disbanded, Toby still clings to such rootsy notions as hard work, persistence, patience, and - perhaps most relevant of all - the power of music, which he insists is still what keeps him going. "It's the truth," he says. "I still believe that a song can penetrate a heart. I believe God can use a song to open someone's mind and heart." We highly recommend adding This Is Not A Test to your family's playlist! 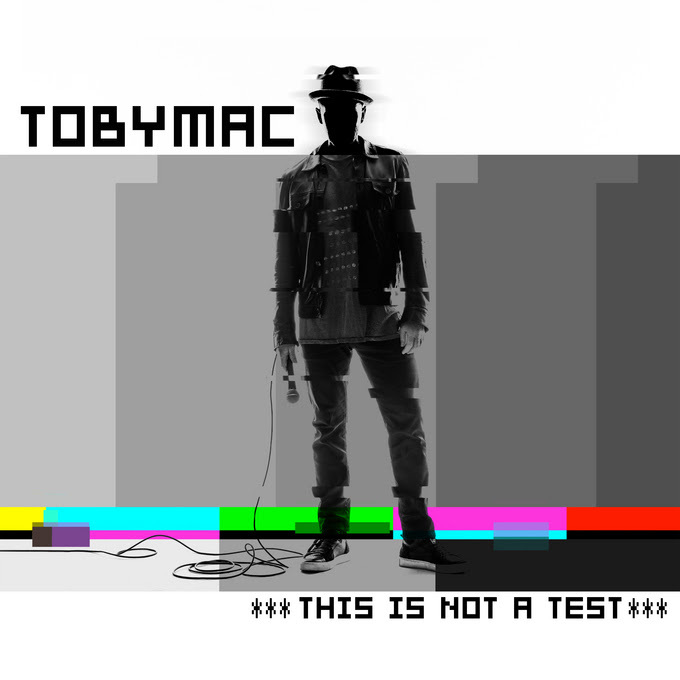 Visit TobyMac's website for more info and events. I have received This Is Not A Test courtesy of Capitol CMG and FlyBy Promotions for the purpose of facilitating this review. As the owner of this blog, niecyisms and nestlings, I am compensated to provide my opinion on products, services, websites and various other topics. This blog may contain affiliate links. Even though, as the writer/owner of this blog receiving compensation for posts or advertisements, I will always give my honest opinions, findings, beliefs or experiences on those topics or products. This blog abides by word of mouth marketing standards. I believe in the honesty of relationship, opinion and identity. The views and opinions expressed on this blog are purely my own. Any product claim, statistic, quote or other representation about a product or service should be verified with the manufacturer, provider or party in question.